To access the Direct Messages overview, click on Direct Messages in the sidebar menu. All your incoming messages, outgoing messages, and referrals will appear in the overview. At the top of the overview, use the search bar to find a specific message to view, and switch between different filter tabs to view your unread and archived messages. If you want to archive a message, hover over the message you'd like to archive. On the right of the message, click on More Actions. After clicking on More Actions, you will have the option to Archive the message. When you click Archive, the message will be removed from your Direct Messages overview. To view or unarchive an archived message, use the View Archived tab at the top of the Direct Messages overview. All your archived messages will be visible here. If you'd like to unarchive a message, hover over the archived message. On the right of the message, click Unarchive. The message will be visible in the Direct Messages overview. Note: When an influencer replies in an archived message, the message will automatically be unarchived and visible in the Direct Messages overview. To add an influencer to your Shortlist, hover over the message of the influencer you'd like to add. On the right of the message, click Add to Shortlist. Using the dropdown menu, select a Shortlist to add the influencer to, then click Add to List. 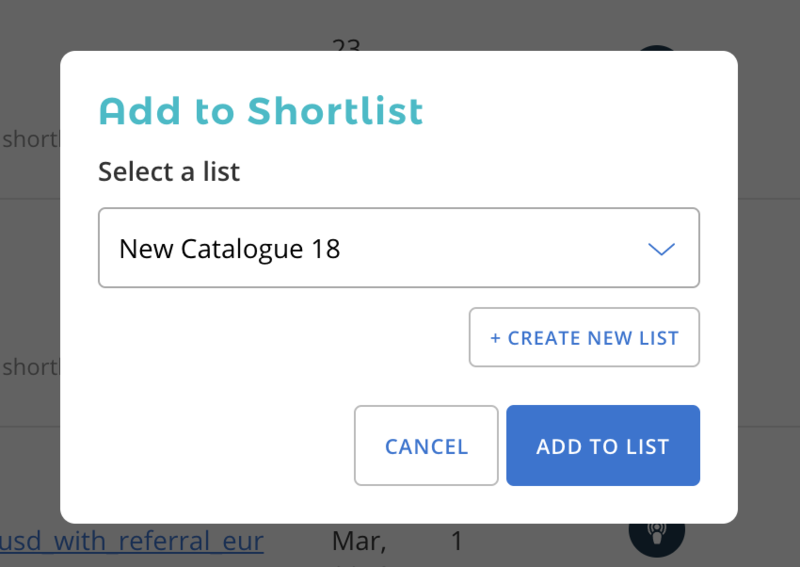 You can also click Create New List to create a new Shortlist to add the influencer to. Need any help? Send us a chat!